PETER Dutton was once again a man under pressure in Question Time today as Labor launched a sustained attack on his eligibility to sit in parliament. The context for the Opposition's questioning was Malcolm Turnbull's extraordinary admission that he has been lobbying Liberal MPs to vote with Labor and refer the question of Mr Dutton's eligibility to the High Court. "I refer to Malcolm Turnbull's statement overnight that he has told the Prime Minister and other colleagues that given the uncertainty about the Minister for Home Affairs' eligibility, acknowledged by the Solicitor-General, the member should be referred to the High Court," shadow attorney-general Mark Dreyfus said. "Does the Prime Minister agree with that statement from Malcolm Turnbull?" Prime Minister Scott Morrison handballed the question to Attorney-General Christian Porter, who was ready with a mocking response. "The question is how did Labor live with the uncertainty for 126 days? How did they get through it? Virtual dolphin therapy with their support animals, emotional support animals helping them through?" He was referring to Labor's legal advice on the matter of Mr Dutton's eligibility, which it waited for months to reveal. "Why was it that Labor believed the advice that they had commissioned and received included something that was utterly crucial to the integrity of this parliament - if they truly believed that, why did they sit on it for 126 days?" Mr Porter said. He brought up an interview Mr Dreyfus had done with Sky News political editor David Speers. "And the question was put again: 'So you decided to sit on that advice?' And the answer was: 'No, well, we put it to one side.'" Mr Porter called it "the legal advice version of smoking but not inhaling". "Can you imagine, can you imagine the shadow attorney-general preparing with his staff?" Mr Porter taunted, going on to mimic a hypothetical conversation between Mr Dreyfus and his staff. "'What do I say when he asks the obvious question of why did you sit on it for 126 days?' 'Just say you didn't sit on it, you put it to one side. I can categorically say that no bottoms were involved in this.'" He concluded by calling the question a "joke". "For you to come in here after 126 days and pretend the uncertainty is too much, the doubt is too worrying, is an absolute joke." It was quite the performance from Mr Porter, though it should be noted he didn't exactly answer the question put to him. Labor had a couple more stabs at the issue, with Mr Porter fielding a follow-up question from Manager of Opposition Business Tony Burke. 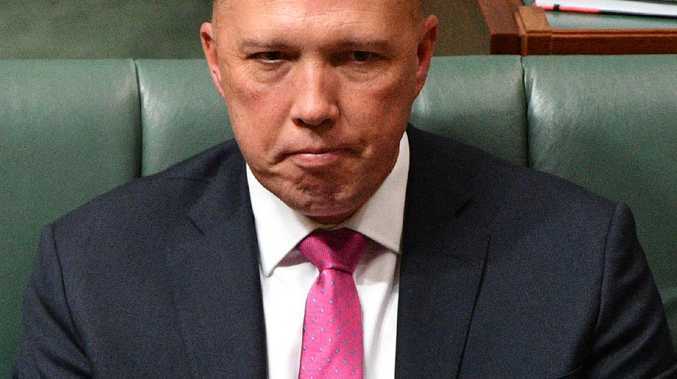 Mr Burke said the last time parliament voted on the issue of Mr Dutton's eligibility, it was before the Solicitor-General had delivered his advice, which was favourable to Mr Dutton but not conclusive. On that occasion, the motion to refer Mr Dutton was defeated by one vote - his own. "Why should the Minister for Home Affairs be allowed to hold the casting vote on his own referral to the High Court when even Malcolm Turnbull says he should be referred?" Mr Burke asked. Mr Porter said three of the four pieces of official legal advice in the public sphere said Mr Dutton was eligible - the odd one out being the advice commissioned by Labor - and therefore the issue was settled. Mr Turnbull certainly doesn't agree. But several of his former colleagues have taken swipes at him today, suggesting his behaviour is being motivated by "malice" and is not befitting a former prime minister. Mr Dutton adopted an attitude we could describe as politely unimpressed as he responded to Mr Turnbull. "Mr Turnbull never raised once with me any issue around section 44," the Home Affairs Minister said in reference to the part of the constitution that has placed his eligibility under a cloud. Speaking to 2GB radio host Ray Hadley, Mr Dutton compared Mr Turnbull's interference to the "dignity" of another former prime minister, John Howard. That line was echoed by Liberal MP Keith Pitt on Sky News. "You can be John Howard or Kevin Rudd," Mr Pitt said. 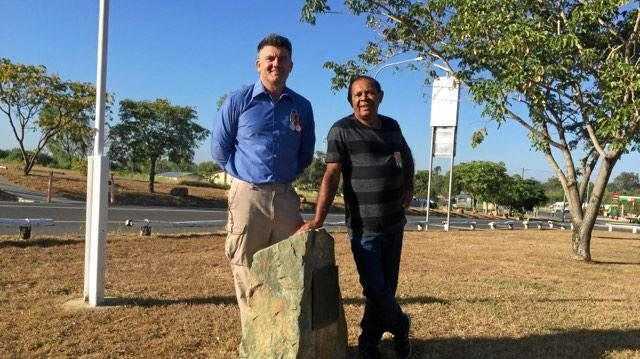 "If you are a prime minister who is no longer in this place, you can be the John Howard statesman … or you can be out throwing rocks at individuals." Pressed by host Tom Connell, he would not say where Mr Turnbull or another former PM, Tony Abbott, were on the Howard-Rudd scale. A few hours later, Nationals MP Barnaby Joyce also appeared on Sky, where he speculated about Mr Turnbull's motives. "I didn't know why the Liberal Party changed leaders. To be quite frank, I'm starting to get an inkling now," Mr Joyce said. "Why is Malcolm doing this?" He cited Mr Turnbull's abrupt resignation from parliament, despite the government's precarious one-seat majority, as another troubling act. "These things, they are starting to look like malice."